Infographic – Do online students cheat more often? Online College.org has recently published this infographic. What do you think? Does this reflect the conditions at your institution? Do you consider the sources for this graphic reliable? Posted in Articles - Artículos, Distance Education - Educación a distancía. The nature of how teaching and learning is carried out is constantly evolving based on the ever-changing dynamic between multiple variables. Technology is perhaps the fastest evolving variable in a learning system. The advent of computers and the Internet have brought about drastic change to all facets of life, including education, and new technologies are being developed at lightning speed on a daily basis. Embracing web and media technologies for education requires a paradigm shift. 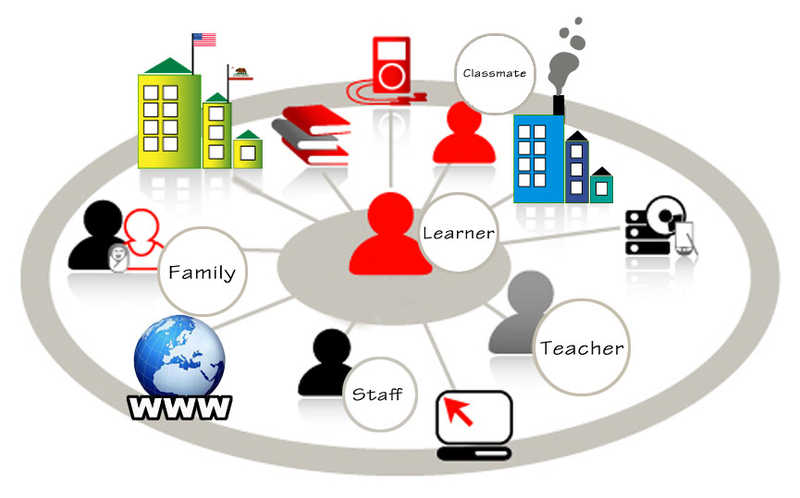 Distance education is best achieved when it is learner-centered rather than teacher-centered. In this model the teacher becomes more of a guide on the sidelines rather than a sage on stage. The implication is that students are active participants in their own learning rather than passive listeners. This active learning approach enables students to “own” their newly acquired understandings. It is useful to think of learning environments as complex adaptive systems that evolve constantly based on the interactions amongst the various agents within, and sometimes from without, the system. As a student, it is useful to have a basic understanding of the role you play within the learning environment (complex adaptive system) in order perform proactively and efficiently. This leads to being effective (success). Think of students as agents, of teachers as super agents with special abilities, and content and technology as special agents. Now think of all the ways the various agents interact with each other! Where do you fit in? How should you perform to live up to your role in the system? Do not worry if some of the traits just mentioned seem intimidating to you. What is most important in becoming a successful distance learner is that you have an open mind, are motivated to give it your best effort, and that you devote plenty of time to do the readings and assignments in your courses. This investment on your part will result in the achievement of those traits that will enable you to continue on successfully in you academic quest. * This list is adapted in part from University of Illinois & the Illinois Online Network. English: This is a bilingual blog about all things related to instructional design & technology. Español: Este blog es bilingüe y se dedíca a todo lo relacionado con diseño y tecnología instruccional. Distance Education – Educación a distancía. On this episode of "School’s In," Jonathan Rosa talks about the intersection between language and race and how it affects the way we perceive others.